African Sustainable Fashion in Nairobi, Kenya. When we think of industries that are having a harmful effect on the environment, manufacturing, energy, transport and even food production might come to mind. But the fashion industry is considered by the UN Conference on Trade and Development (UNCTAD), to be the second most polluting industry in the world. According to UNCTAD, some 93 billion cubic metres of water - enough to meet the needs of five million people - is used by the fashion industry annually, and around half a million tons of microfibre, which is the equivalent of 3 million barrels of oil, is now being dumped into the ocean every year. As for carbon emissions, the industry is responsible for more than all international flights and maritime shipping combined. The dominant business model in the sector is that of “fast fashion”, whereby consumers are offered constantly changing collections at low prices, and encouraged to frequently buy and discard clothes. Many experts, including the UN, believe the trend is responsible for a plethora of negative social, economic and environmental impacts and, with clothing production doubling between 2000 and 2014, it is crucially important to ensure that clothes are produced as ethically and sustainably as possible. Smaller companies are also helping change the environmental landscape of fashion and building sustainability into their whole business model. Among them are the Swiss firm Freitag, which upcycles truck tarpaulins, seat belts and seat belts to make bags and backpacks; Indosole, which makes shoes from discarded tyres; and Novel Supply, a Canadian clothing business, which has a “take-back scheme,” whereby customers can return their clothes when they are no longer wearable, so that the company can reuse and recycle them. The founder of Novel Supply, Kaya Dorey,, won a Young Champions of the Earth award, the UN’s highest environmental honour, in recognition of her attempts to create a production model that involves using environmentally-friendly materials, and finding solutions for waste created during the manufacturing process. In this video she explains how every element of her company’s production process is geared towards minimising waste and damage to the environment. 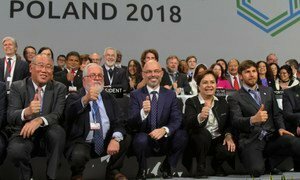 In a bid to halt the fashion industry’s environmentally and socially destructive practices, and harness the catwalk as a driver to improve the world’s ecosystems, 10 different United Nations organizations established the UN Alliance for Sustainable Fashion, launched during the 2019 UN Environment Assembly, which took place in Nairobi in March. 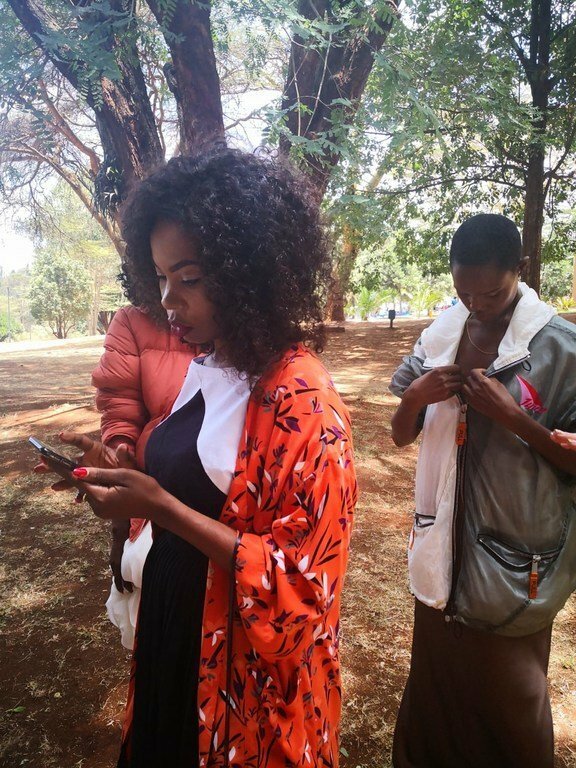 Increasingly, and particularly over the last 10 years, it is social media ‘influencers’ like Lucia Musau, an award-winning fashion and lifestyle blogger based in Kenya, who are effectively spreading the kind of messages that can help highlight the negative consequences of fast fashion. “As global citizens we have a big role to play. We’re becoming more conscious about the fashion we consume, and gone are the days when you could just buy something because it’s trendy. If a Kenyan designer wants me to promote them, I want to know exactly how they produce the clothes,” said the blogger, who’s also supporting the new UN alliance. As consumers become more aware, the industry will have no choice but to adapt to their needs,” she said. Lucia Musau, Kenyan Influencer and Model, at the launch of the UN alliance on Sustainable Fashion. Not only is the average person buying 60 per cent more items of clothing than they did 15 years ago but, according to the McKinsey 2019 State of Fashion report, they are only keeping them as half as long as they used to. UNEP says that promoting a change in consumption modes, through actions such as taking better care of clothes, recycling and “take-back” programs, can make a major impact, and that simply doubling the time that we use each item of clothing could halve the fashion industry’s greenhouse gas emissions. 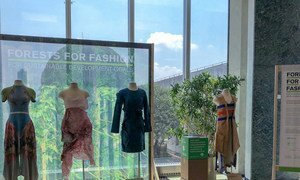 The fashion industry is valued upward of 2.5 trillion dollars, and employs some 75 million people globally – so it makes good sense to shift textile production from fossil fuel-based synthetic fibers to renewable, biodegradable textiles, made from wood, according to a new United Nations initiative that aims to make forests literally more fashionable.